Step #1 – Apply a soft, neutral eyeshadow to your entire eyelid to even out skin tone and provide a base for smokey shadows. I highly recommend this NARS duo in All About Eve! I’ve been using it since college. 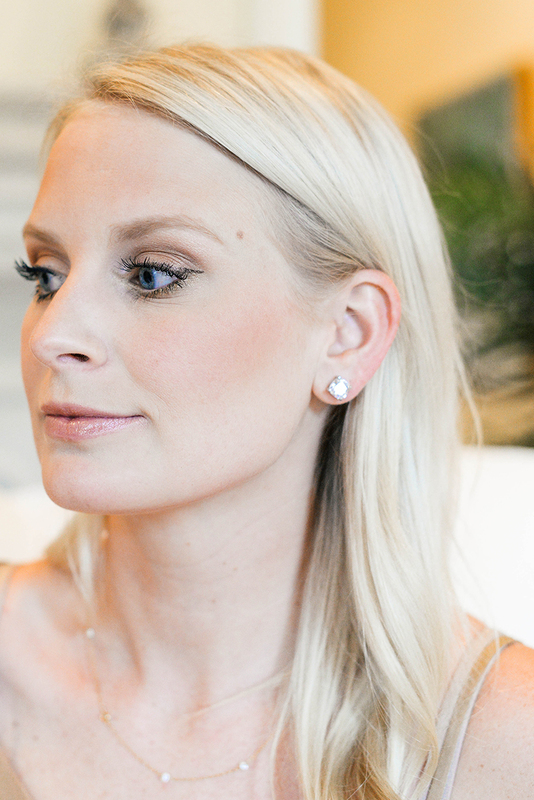 Step #2 – Grab this NARS duo in Isolde (or a similar gold + brown palette! ), and apply the lighter of the two colors to the outside corner of your eyelids and blend in up to your crease. Step #3 – Apply the darker of the two colors from the same Isolde eyeshadow duo to the crease of the eyelid. Blend well. Step #4 – Take this eyeliner in brown and carefully apply to your lash line from the middle of your eye to the far corner (a half cat-eye as pictured above). Step #5 – Use my favorite Laura Mercier cream stick in Gilded Gold and apply generously to your lower eyelid along your lash line (from the inner corner all the way out to the outer corner). Use your finger or a brush to smudge and blend until you get a subtle gold shimmer under your eyes. 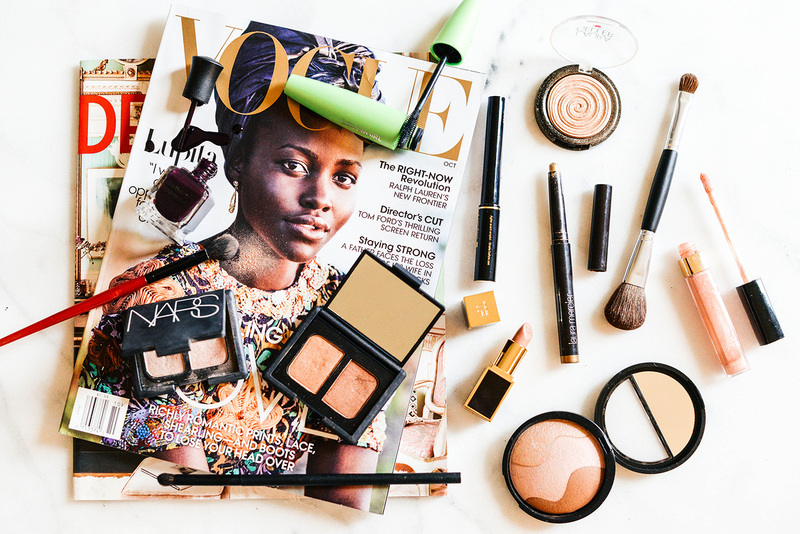 Step #6 – Before applying mascara, do the rest of your face: apply your bronzer and then this Laura Geller highlighter (in Gilded Honey) to the bridge of your nose, the center of your forehead, below your brows, and the tip of your chin. Blend well. Apply blush to the apples of your cheeks. 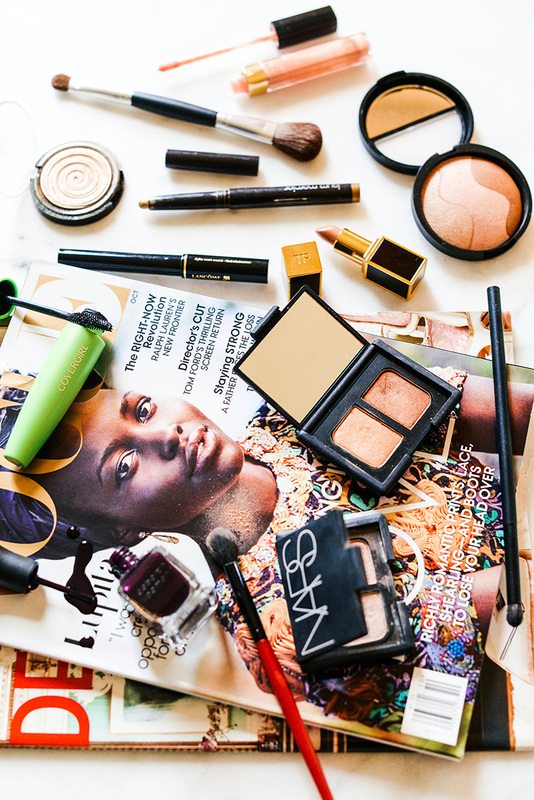 Step #7 – Apply your mascara. I usually use two-three layers of this! It’s the BEST and such a steal. 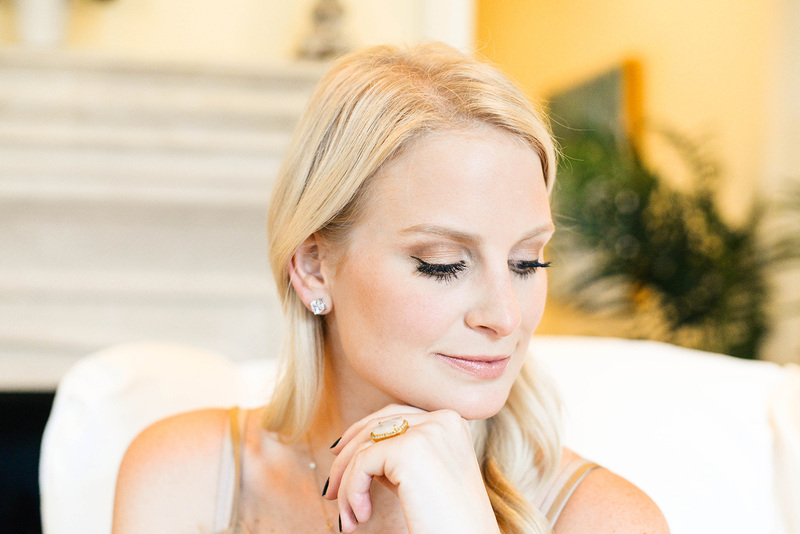 PS – I also use this serum to thicken and lengthen my lashes (here’s a tutorial). I’ve been using it for two years and it is a miracle product! I’ve never experienced sensitivity or discoloration with it. No extensions or faux lashes necessary! Totally worth the investment. Step #8 – Grab this Tom Ford lipstick in David and apply to lips, before topping with Chanel’s lip gloss in Seashell. This eye makeup looks perfect! I think I am going to try it out next weekend for a wedding! Pretty! 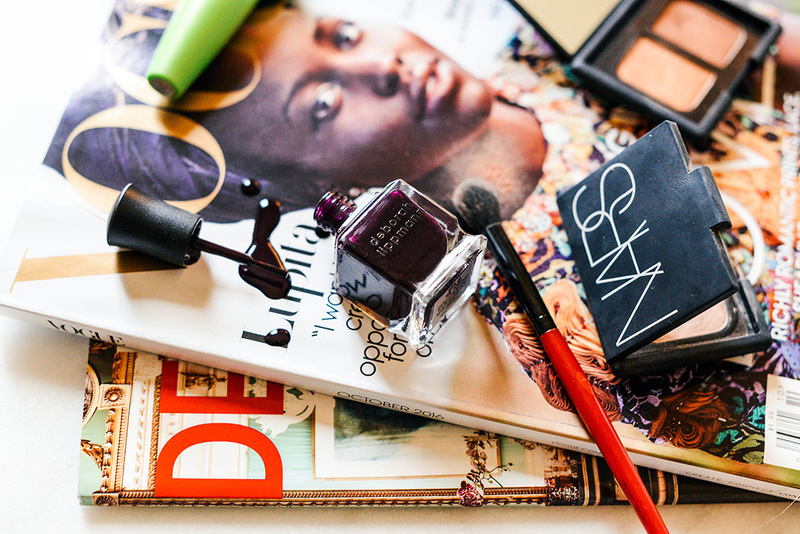 Love the look of that Nars duo. Gorg! What nail color do you have on? Dark Side of the Moon! Link to it is in the “Shop the Post” section below the photos!